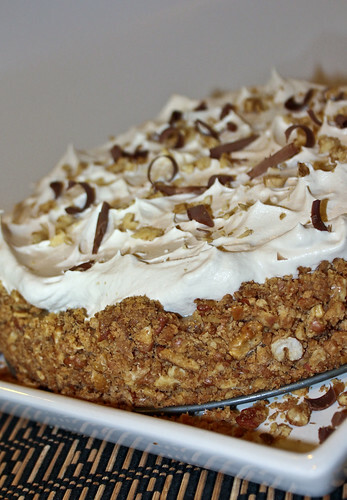 I recently came across this recipe while drooling over various food blogs. 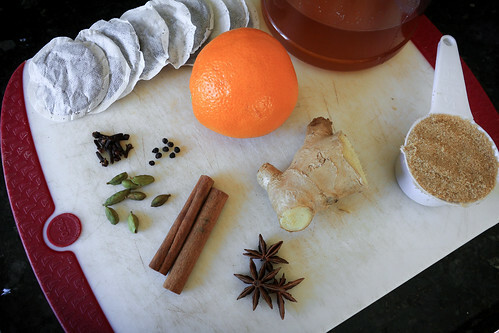 As a person of Pakistani descent, I thought chai-infused cream sounded familiar and warming. 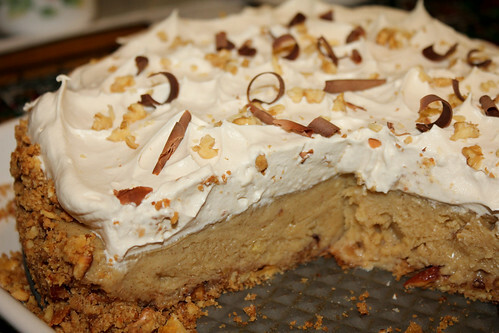 And since I've never made pudding from scratch before, I knew I had to try this. 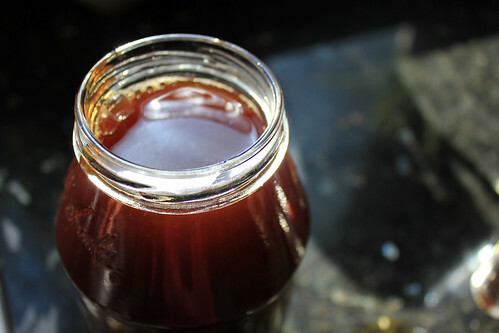 It's the best thing ever- now when my parents want to drink chai all I have to do is mix this concentrate into steamed milk! So easy and mess-free. Plus, the spicy goodness makes the tummy happy. Boil water. 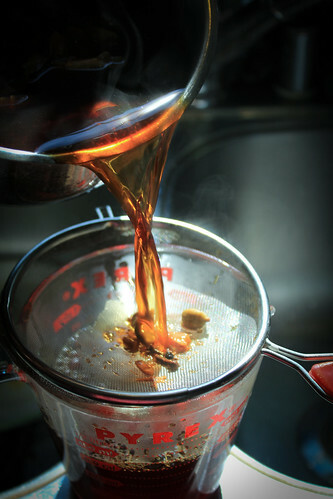 Add all the spices, remove from heat and steep for 15-20 minutes. 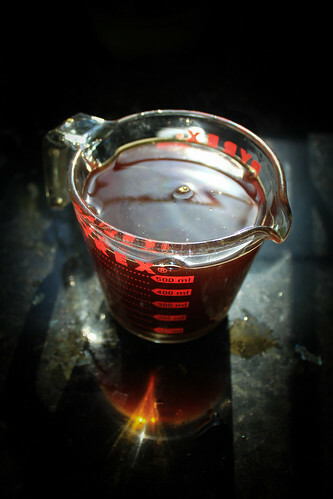 Strain the mixture to remove solids. Place nuts on a baking sheet and toast for about 10 minutes in an oven preheated to 350 degrees F, checking often. 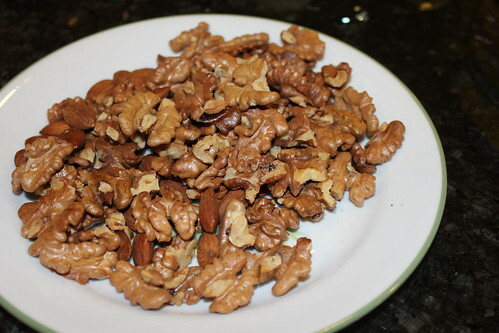 Remove from oven and allow to cool and remove the skins from the walnuts. 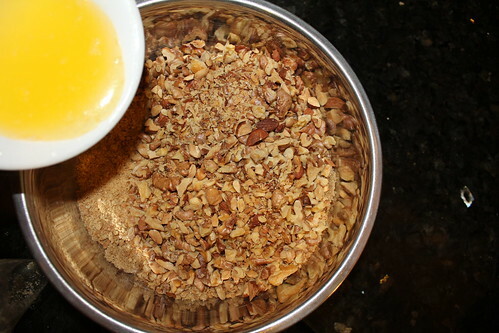 Finely chop the walnuts and almonds. 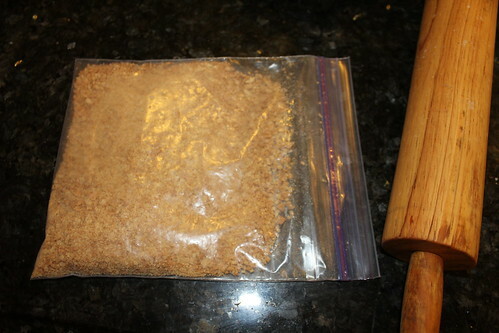 Add brown sugar and butter, mix. Then spread mixture into a springform pan and bake for 12 minutes. Let cool. 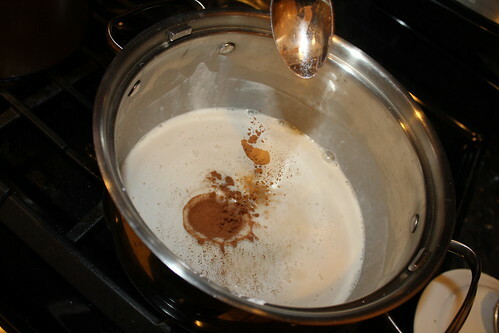 Mix the brown sugar and cornstarch in a medium-sized saucepan over medium heat. 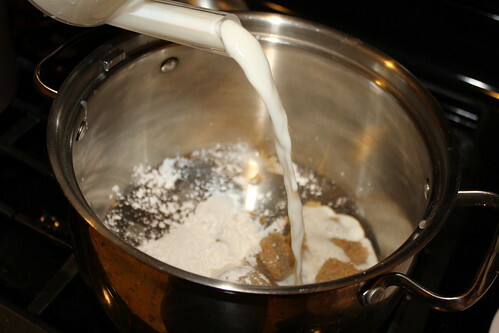 Gradually add the milk, stirring constantly. Cook and stir for 2 more minutes then remove from heat. Remove from heat. 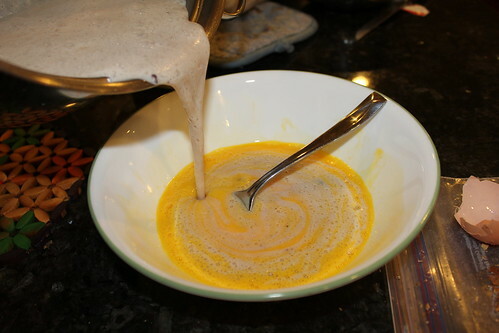 Add one cup of the pudding mixture into the bowl of beaten egg, mix well. 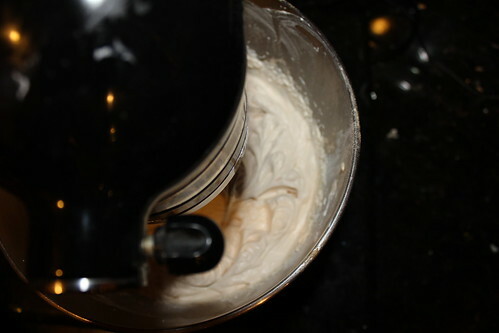 Pour the egg mixture back into the milk mixture in the saucepan. 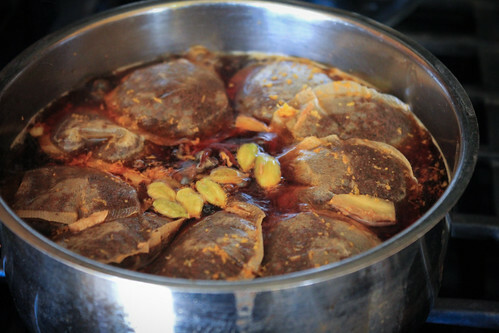 Cook the pudding until almost bubbly, but don’t allow to boil. 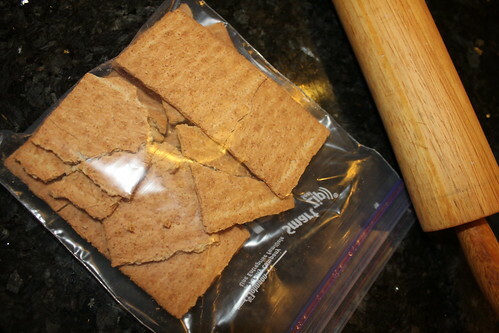 Reduce heat and cook for 2 more minutes, then remove from heat. Add the butter and vanilla, and stir. 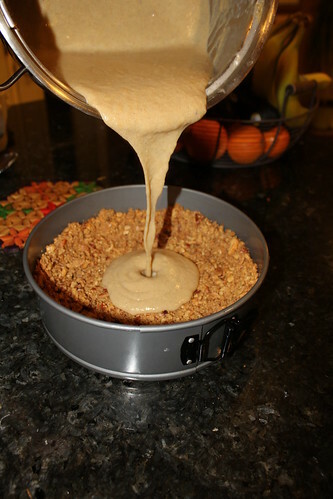 Pour the pudding mixture into the cooled crust. Freeze. 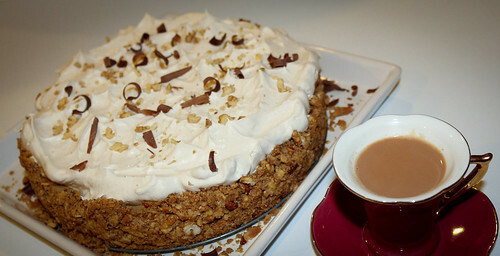 Prepare the chai topping by beating the cream and chai concentrate together until the cream forms soft peaks. 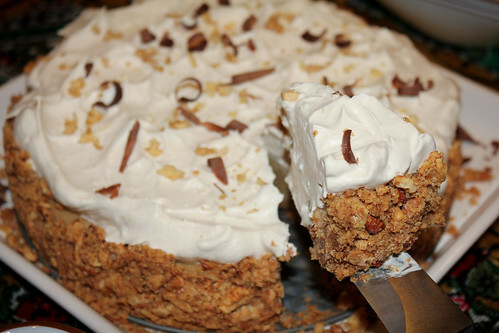 Spread chai cream on pie, top with chopped nuts and chocolate shavings. Enjoy! 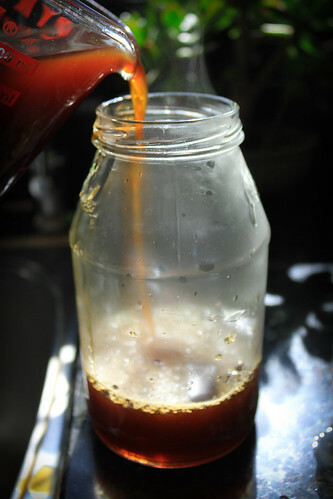 Freeze leftovers in an airtight container.